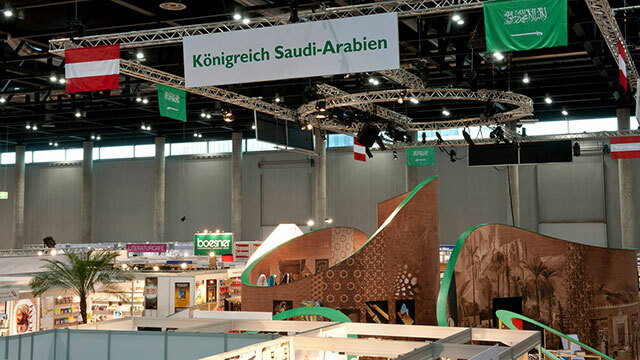 The client was the Institute of Culture of the Kingdom of Saudi Arabia, who the Republic of Austria invited as a "Guest of Honour" at the Book Fair in Vienna. 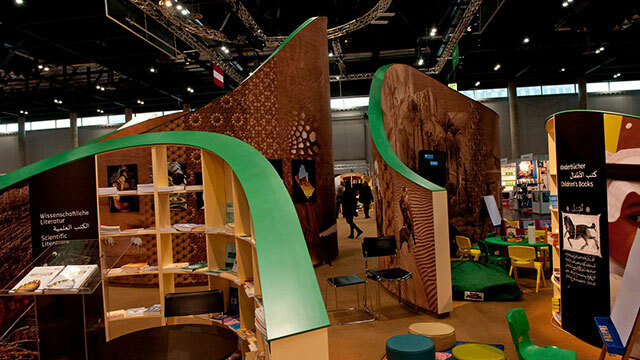 peyote was commissioned general contractor by the Saudi Arabian Culture Institute with the design and implementation of a very special exhibit booth for the occasion. 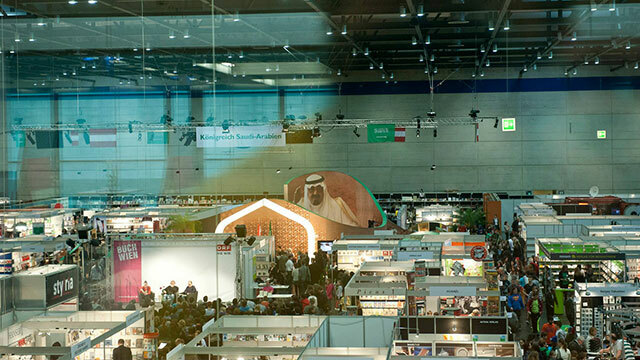 peyote's conceptualized exhibition space abstracted the form language of Saudi Arabia and combined it with multimedia elements. 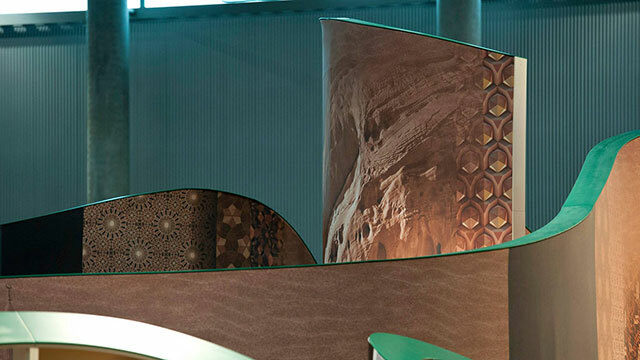 The curves of the sand dunes and the curves of Arabic calligraphy served for inspiration for the design. By projecting a functional blueprint onto a virtual dune, a structure of narrow streets and open spaces reminiscent of the framework of Arab towns and villages came to the fore. 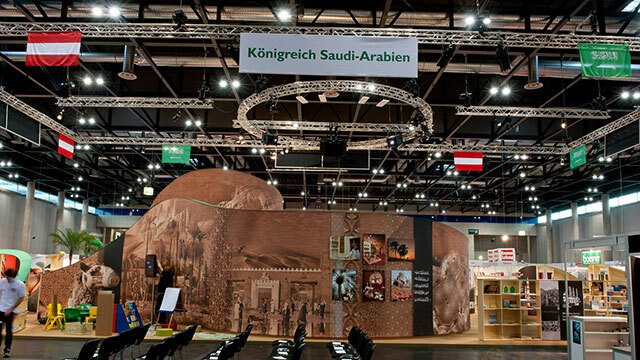 An interactive media installation in the centre of the booth, which thematised Arabic terms in the German language, completed the cultural communication. Numerous bookshelves, presentation elements for calligraphy and books, relaxation areas and a children's corner invite you to linger. The Austrian Event Awards were held on the 4th of December 2014 in the Nordlicht Event Space in Vienna for the 18th time. 30 award winners were honoured during this festive gala.